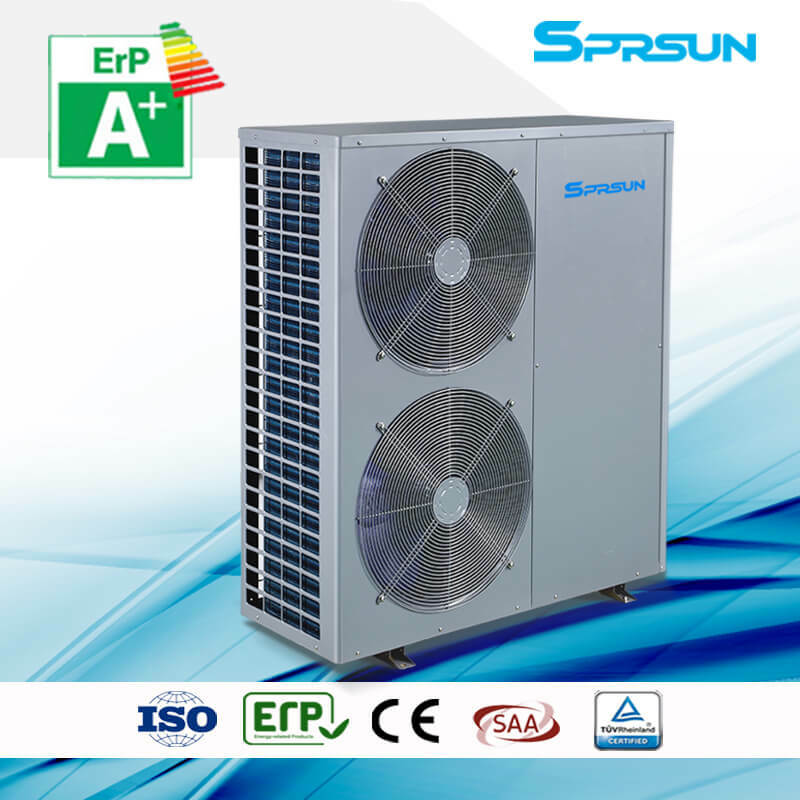 Air source heat pumps are designed for domestic/commercial hot water and house heating in the air conditioner market where lowest air temperature is above -10℃. 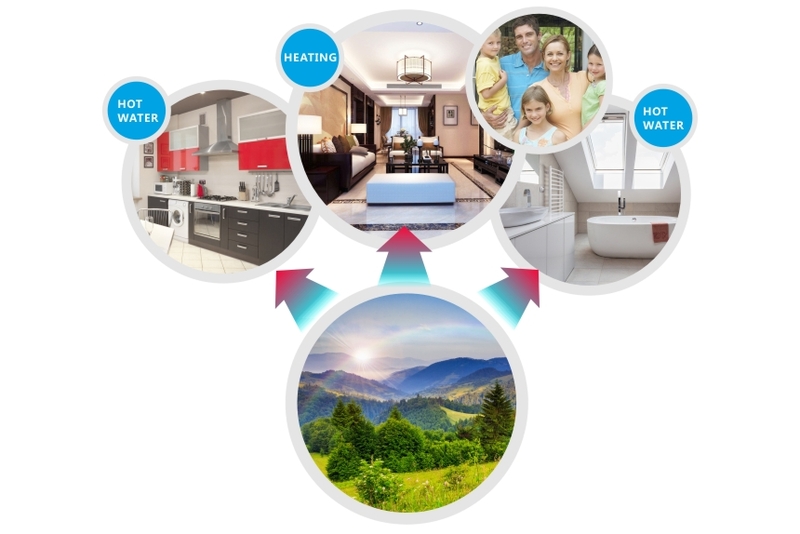 Air to water heat pumps absorb hot energy from the air freely, while the electricity is only used to drive the compressor to pump up the heat from the air, so they consume just a quarter of power of traditional electric water heaters, saving a lot of electric cost for users. 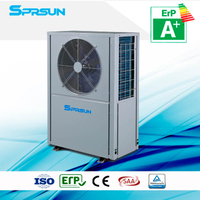 By using air source energy and electric power,there is no harmful gas being discharged during the operattion of heat pumps. 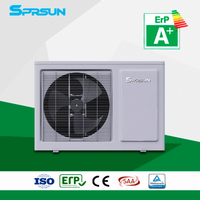 R410A refrigerant guarantees fluoride-free emission. Stable operation without being influenced by windy, rainy or snowy weather. 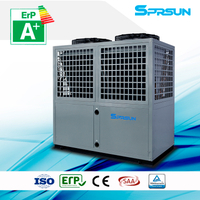 Copeland scroll compressor, Danfoss electronic expansion valve, Eaton AC contactor and thermal relay as well as other brand components of the heat pump guarantee high product quality and a long lifespan. All of our screws and clips (both external and internal) are stainless steel. The cabinet we are using is made of GALVANIZED STEEL, making the product more rust resistant and durable. High pressure, low pressur, overheating, overload anti-freezing, phase sequence, discharge temperature, suction temperature and so on. Controlled by multiple controllers or by computer (optional). 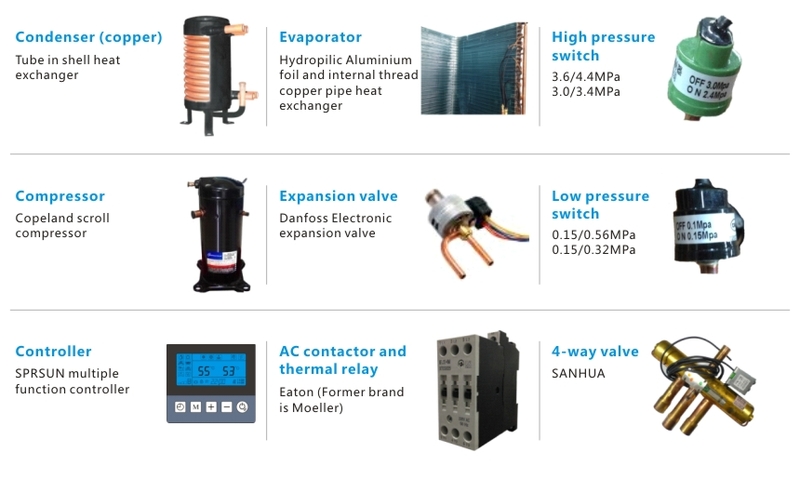 Complete isolation of water and electricity avoids electric shock, explosion and poisoning. 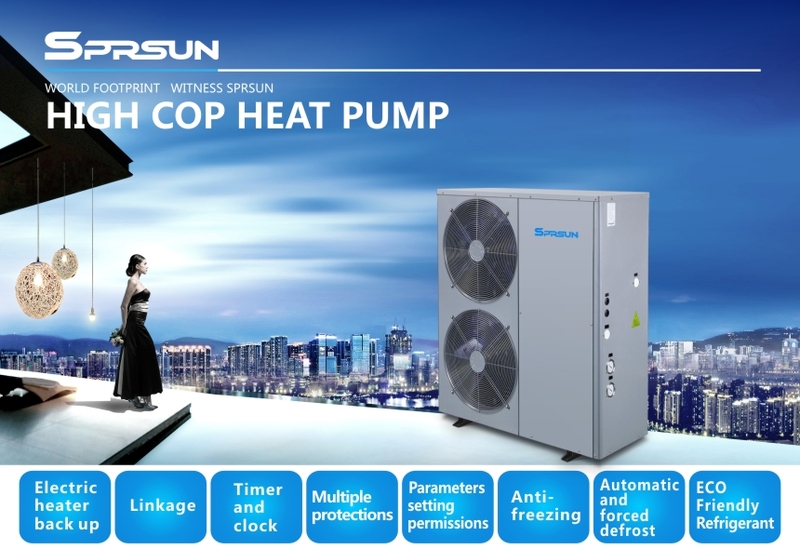 Air to water heat pumps are easy to install. They can be placed in many places, such as garages, balconies, kitchens, etc. 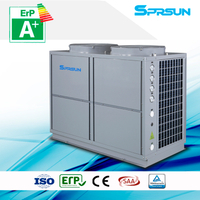 SPRSUN Air source heat pumps can supply domestic/commercial hot water and/or house heating. With 3-way valve, the heat pump controller can change the circulating direction of water between hot water tank and house heating system, and set hot water as priority. 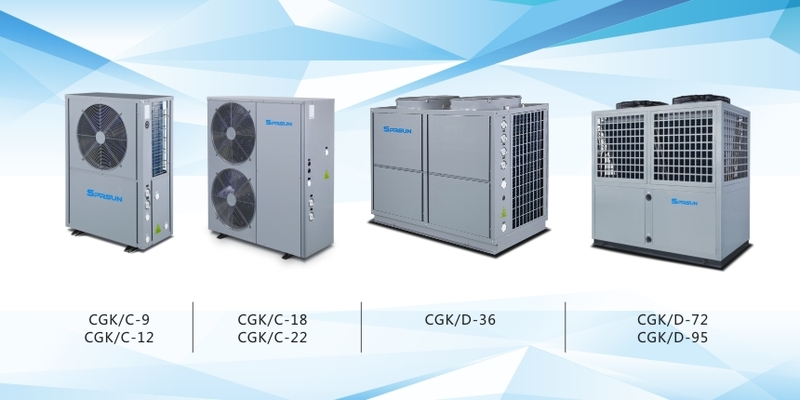 Wide Range of Applications: these air to water heat pumps could meet the hot water and heating requirements of different places, such as villas, families, schools, factories, hotels, hospitals, spacenters, sauna centers, water parks, etc. 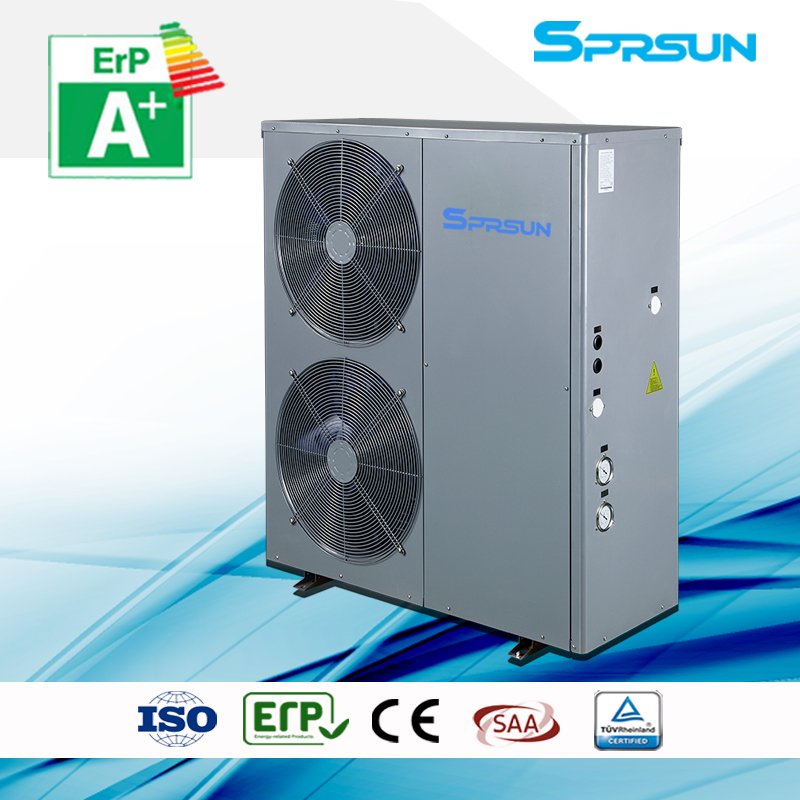 SPRSUN air source heat pumps use high quality components such as Copeland scroll compressor, Danfoss electronic expansion valve, Eaton AC contactor and thermal relay, etc. 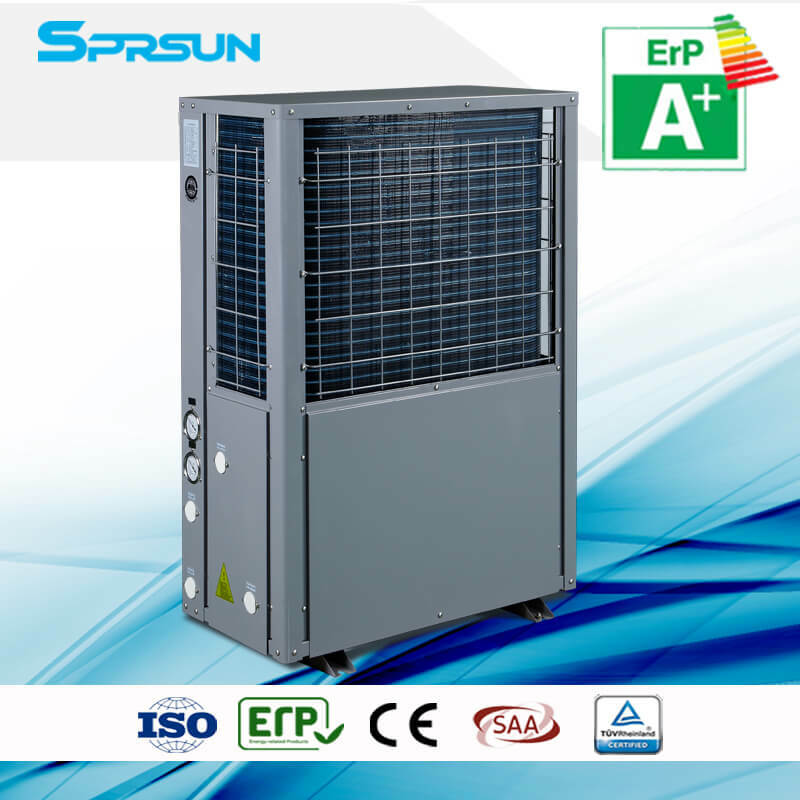 ▲Rated working condition: dry-bulb temp: 20℃; wet-bulb temp: 15℃; cool water temp: 15℃; hot water temp: 55℃.